A straight-up trade sending Soria to Toronto for d’Arnaud would be just ridiculous. While having young catching depth within the system would provide insurance incase this whole Salvador Perez experiment doesn’t work out (sarcasm), it just doesn’t make sense unless another piece is sent to KC in return. We’ve been hearing rumors all off-season about how the Royals would be more than happy to take James Shields off the Rays hands, and this might be a fairly logical way of doing so. In my first scenario, the Jays would get the proven, All-Star caliber closer they need in that division in Soria. The Royals would get the #1 starter in Shields they have desperately been seeking since the days of Saberhagen and Appier. The Rays would gain not one..not two.. but three young players who could step potentially quickly into their big league lineup and a young power hitter with a high, high ceiling. Robinson would finally get his shot since he would be blocked by absolutely nobody in Tampa, Colon would be a welcome addition at either position in an abysmal middle infield, Cuthbert would provide them with a young, top-tier prospect at either 3b, 1B, or corner OF position, and d’Arnaud would give the Rays another option incase Robinson Chirinos doesn’t pan out. The second scenario seems likely as well. The Jays would be selling low on the former top prospect, yet still very young promising starter Kyle Drabek. He had a rough go-around last season, starting only 14 games and surrendering more BB’s than K’s (55-51). 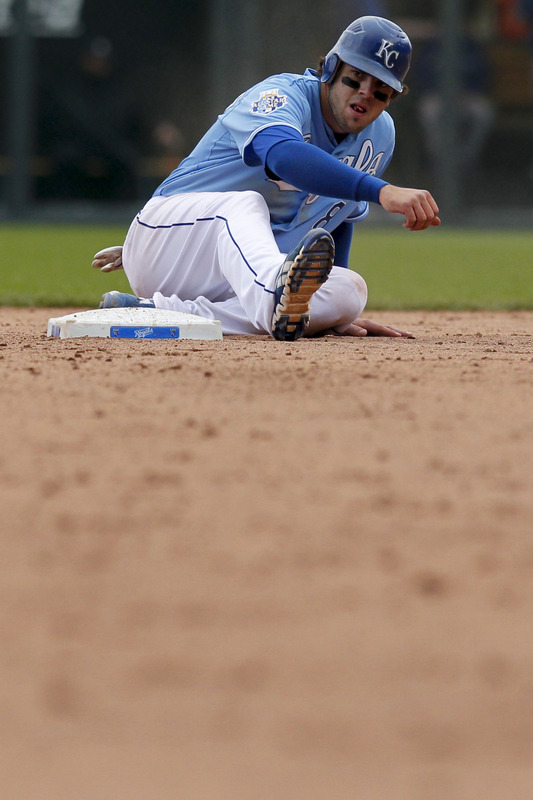 But there is a reason the Jays wanted to hold onto him last year when the Royals were shopping Greinke. The potential is there. I’m not saying either one of these scenarios have a snowball’s chance of happening. But hey, it’s fun to talk about and a good way to kick-off the blog’s first post!